I love hosting. Even in my small, one-bedroom Manhattan apartment, I always volunteer to invite friends over for dinner, drinks, or just to hang out. But the idea of hosting Friendsgiving always stresses me out. Between the mess, all the moving parts, and the expense, throwing Friendsgiving can be demanding affair. Which is why I tried out a bunch of tricks to make hosting easier and more fun. Here are nine tips for an amazing Friendsgiving without spending a fortune or losing your mind. 1. 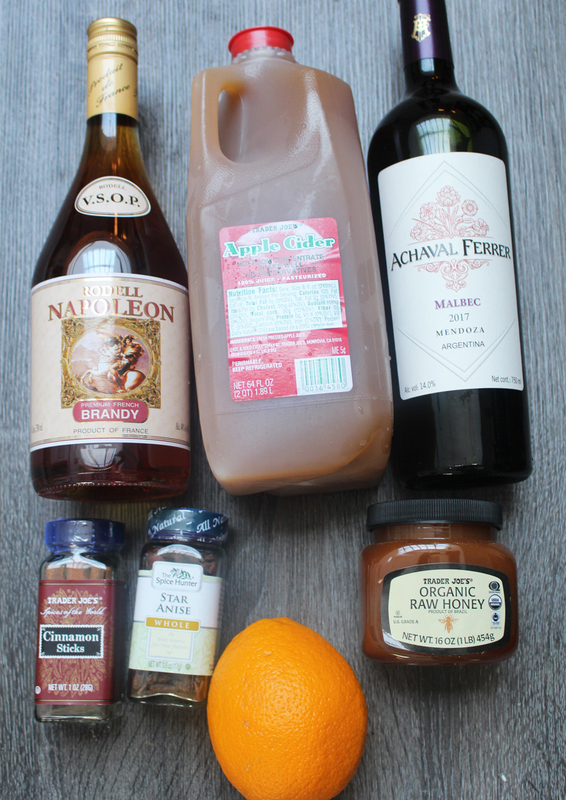 Make cocktails in your slow cooker. 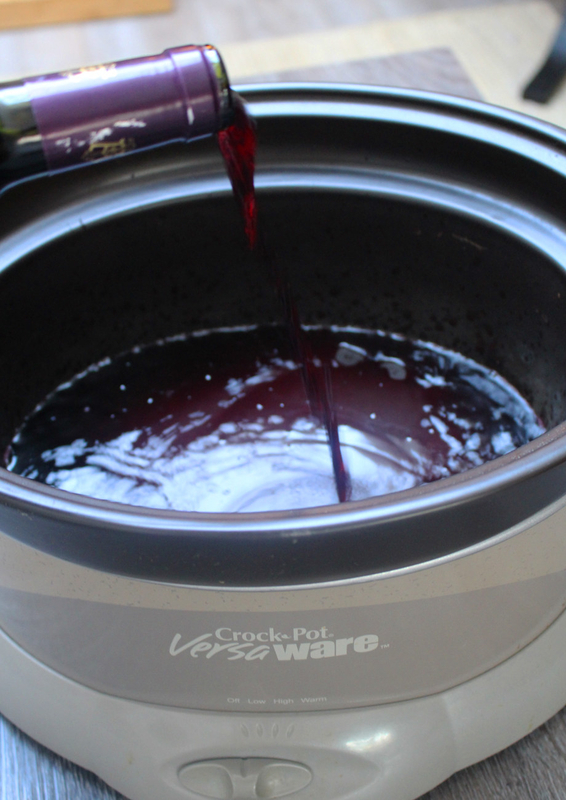 Rather than stress out about making cocktails, let your slow cooker take care of the booze. This big batch spiced wine tastes like something you'd order at a restaurant or bar, but it requires almost zero effort whatsoever. The are only two very easy steps: First, combine the ingredients in the slow cooker and next, turn it on. 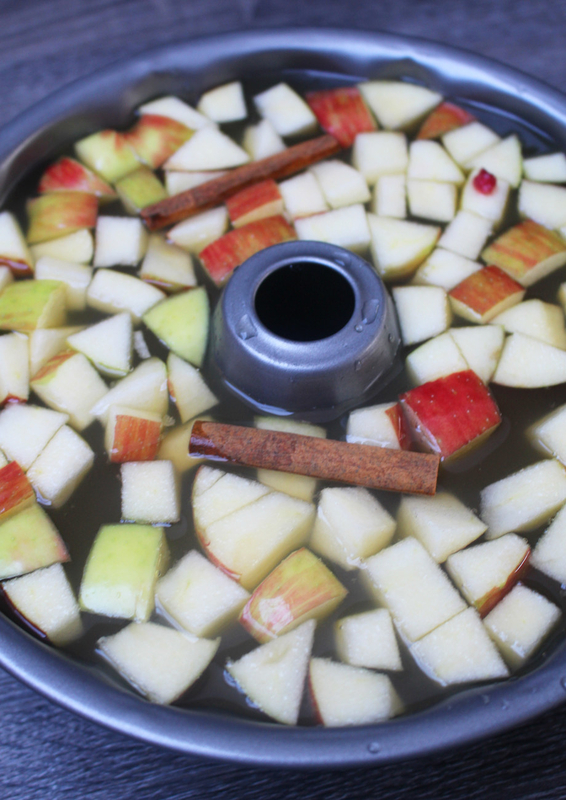 The wine, cider, and spices slow cook for about an hour. Then, just pour in the brandy and serve. 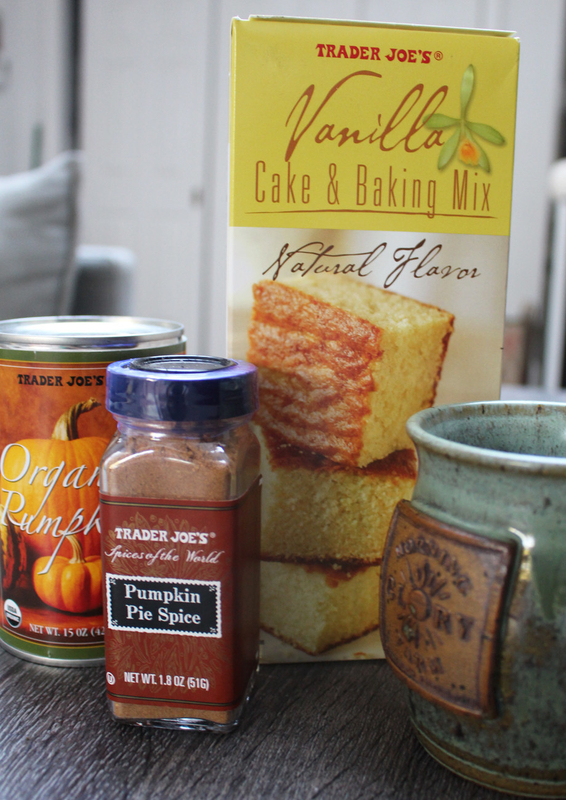 I'll be making this all winter long. Recipe here. 2. 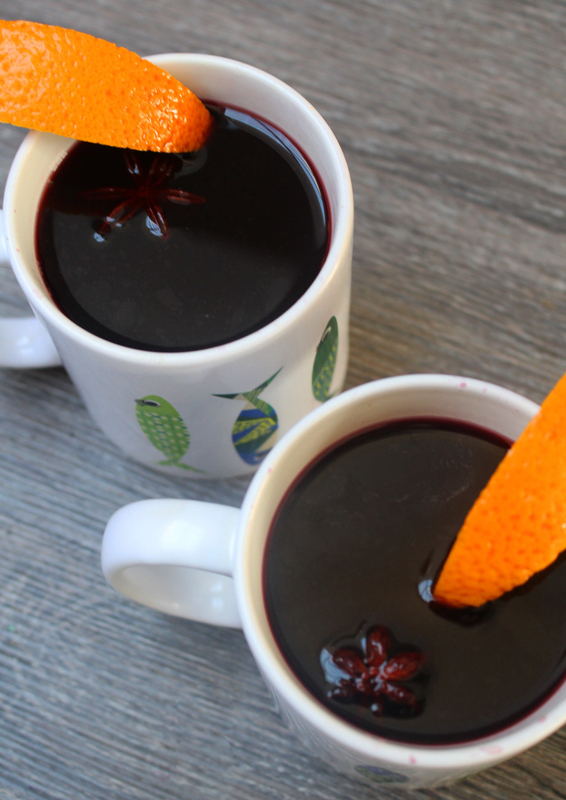 Try a DIY wine pairing with your Friendsgiving meal. Let this handy chart featuring five Thanksgiving-friendly wines be your guide. You'll end up spending about the same amount of money on booze, but it will feel way classier and make the meal more exciting. To cut down on costs, you can always assign each of your guests to bring a certain type of wine. For example, start with cava (like Anna de Codorniu Brut, $13) to pair with your appetizers, like baked brie and mushroom gruyère tarts, before moving onto a Pinot Noir (such as Elouan Pinot Noir, $17) with the turkey and cranberry sauce. 3. Try making an ice ring cocktail using a bundt pan. Instead of making another boring party punch, freeze your booze into a tasty (and Instagrammable) ice ring cocktail. You'll need a bundt pan, a punch bowl, and your favorite big batch cocktail ingredients. 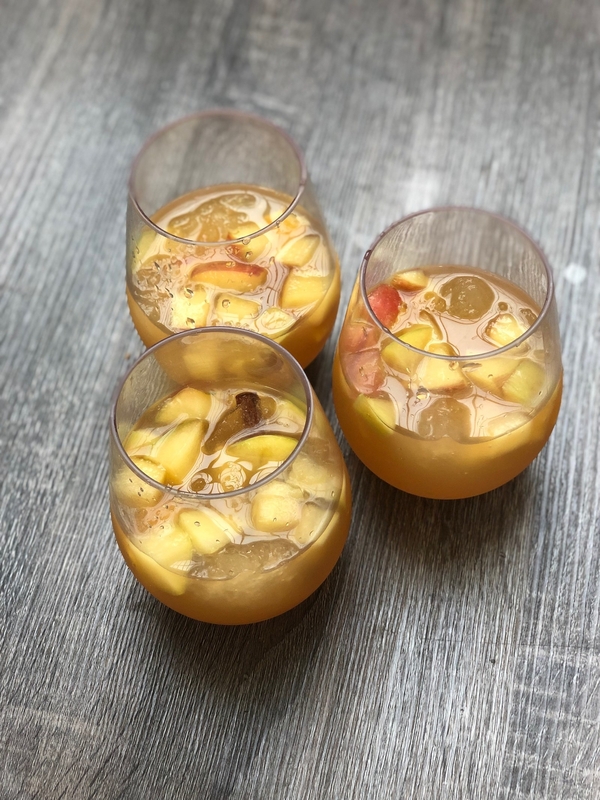 I made apple cider sangria using a recipe I found online, but if you want more inspiration, check out this list of big batch fall cocktails. Pour enough water in a bundt pan so that it's covering the whole bottom. This will help it freeze. 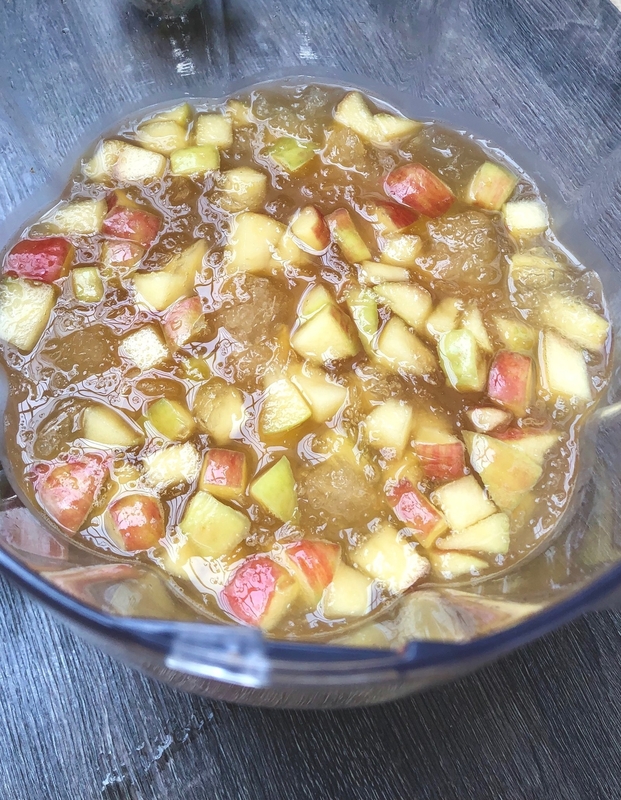 Then, add all your ingredients — booze, juice, fruit, and spices — and freeze the mixture overnight. Once frozen, transfer the bundt pan to a clear bowl. Pour some additional alcohol over the mixture so it starts to melt. Within a few minutes, it should pop right out of the bundt pan, while still keeping its shape. Sure, it takes a little extra work, but it's a step above your usual party punch, and it looks impressive too. The punch stays cold as it melts so you don't need ice. Ladle it it into glasses and top it off with more booze if you feel so inclined. 4. 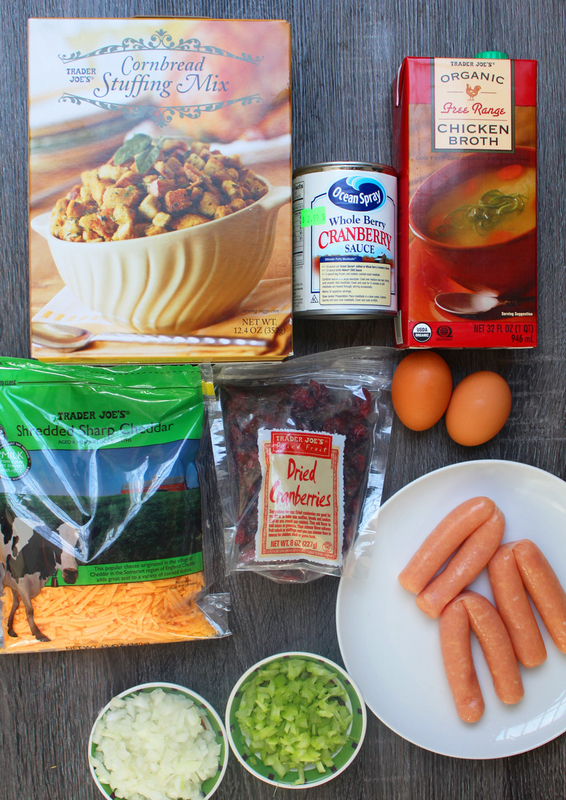 Make a whole meal of bite-sized versions of classic Thanksgiving dishes. If you don't have a ton of room to seat all your guests around a big table, passing around a bunch of appetizers is a great option. You'll most likely save time on cooking and because you don't have to set a table, you'll reduce the number of dishes and utensils you'll have to wash at the end of the night. 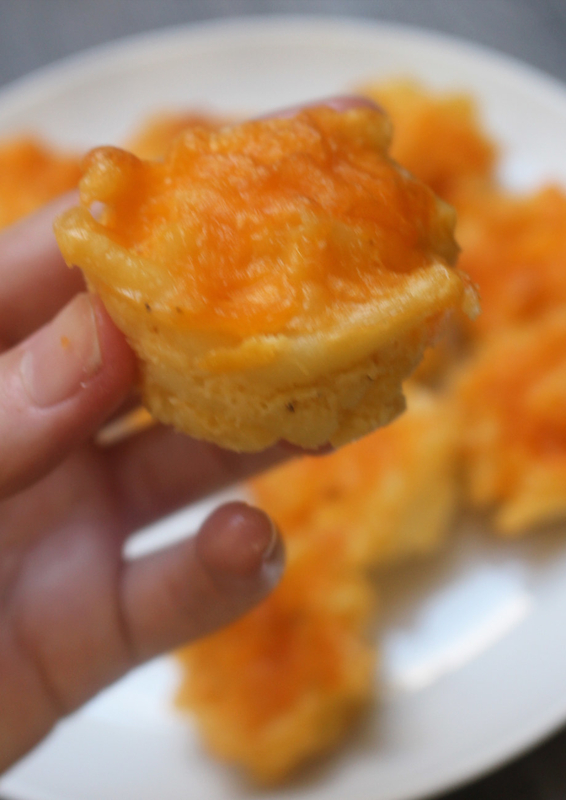 For example, these mini mac 'n' cheese bites were super easy to make, but hard to resist. 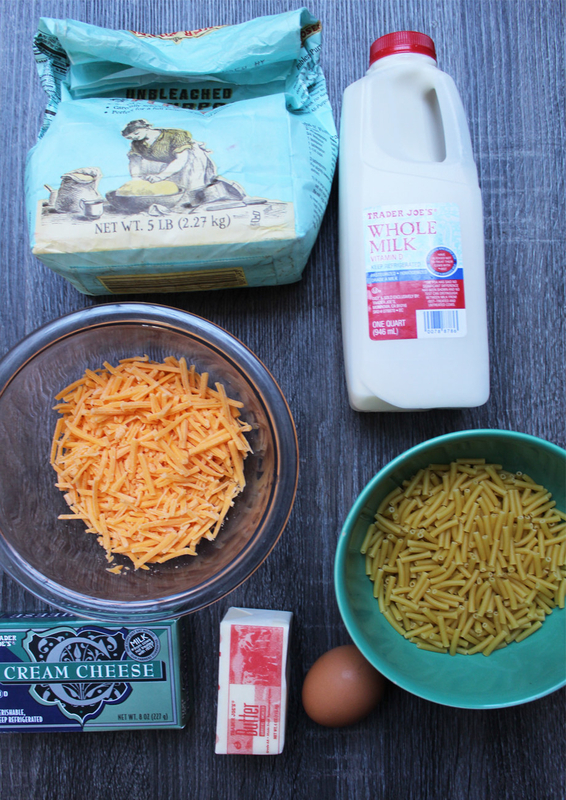 You just boil pasta and whip up a cheese sauce made with butter, flour, cheddar cheese, and cream cheese. 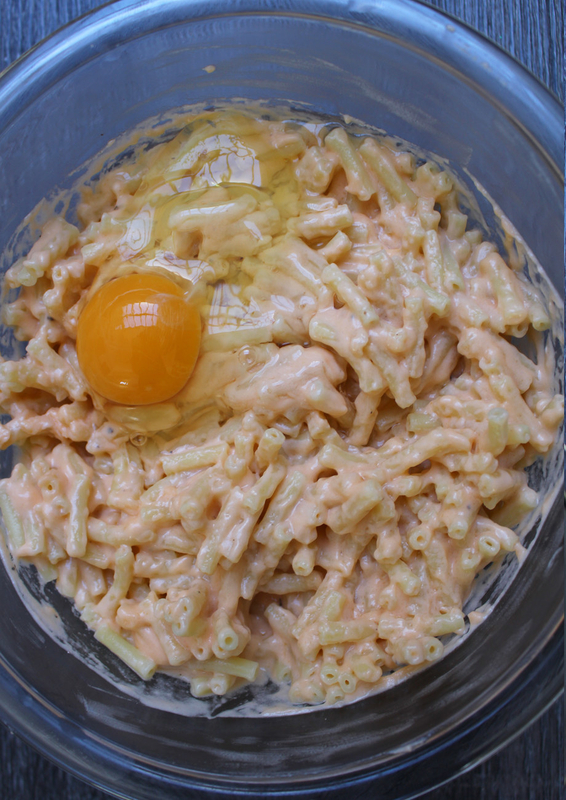 Then, combine the noodles, the sauce, and an egg until combined. 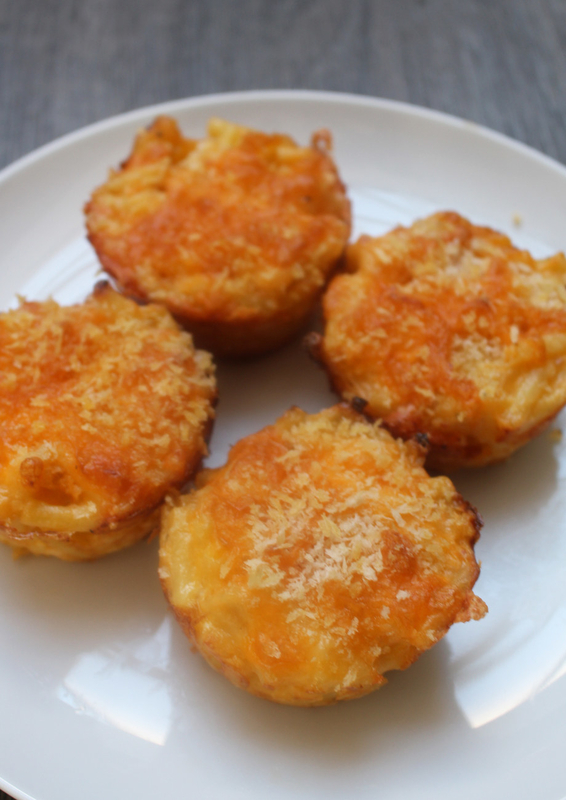 Bake the mac 'n' cheese bites in a muffin tin for about 15 minutes until the tops begin to get golden and crispy. 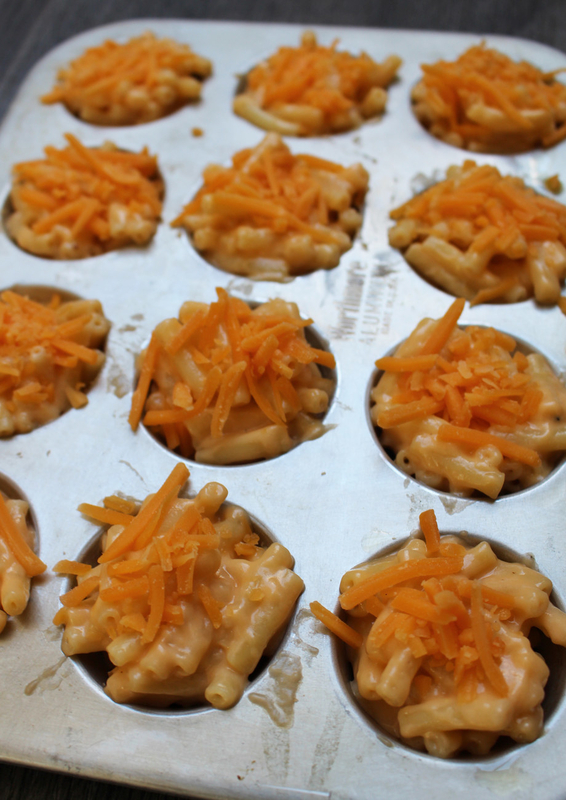 You can use either mini muffin tins or the regular size. I tried both and found the larger bites came out a bit better. The ingredients were more tightly packed and held their shape better once baked. And these sausage and stuffing bites came together pretty quickly, and they only require some basic ingredients. Instead of ground breakfast sausage, I used chicken sausage and chopped it into small pieces. I sautéed the sausage with celery and onion, then add boxed stuffing, cheddar cheese, dried cranberries, chicken broth, and beaten eggs. 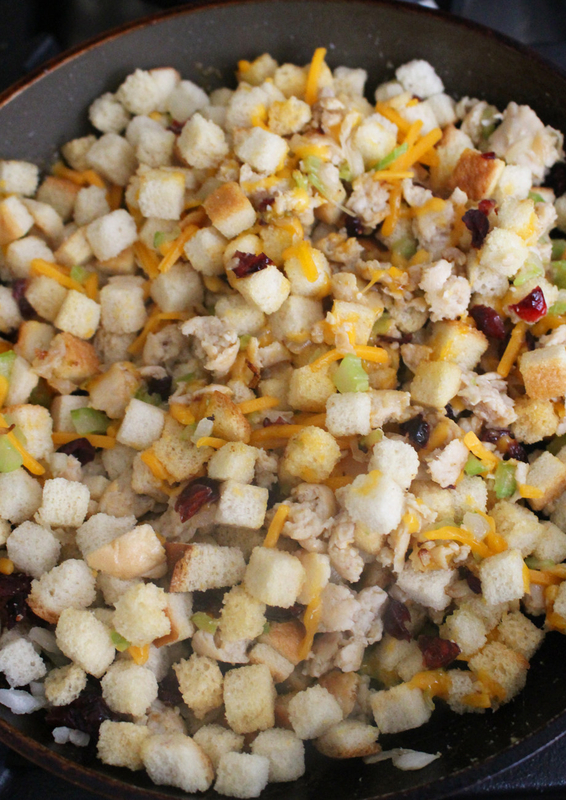 Form the stuffing mixture into little balls and cook them on a baking sheet until they're brown. 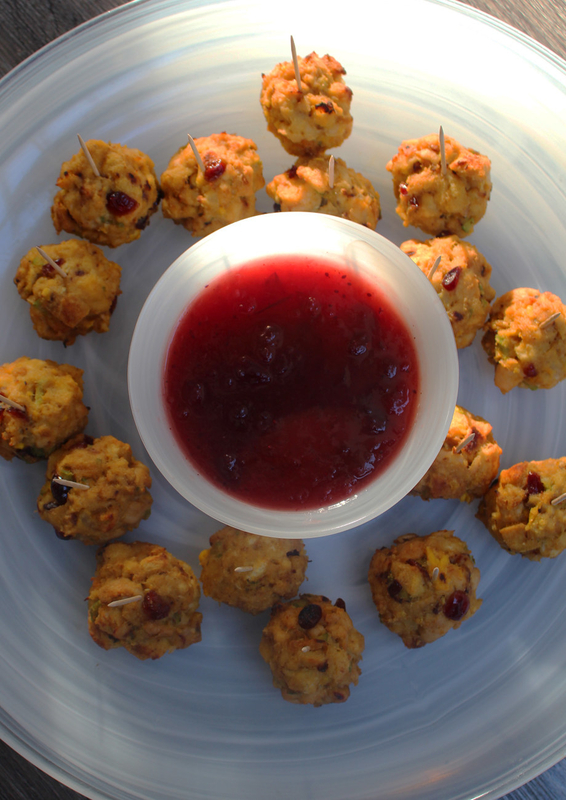 Serve them on toothpicks with cranberry sauce for dipping. 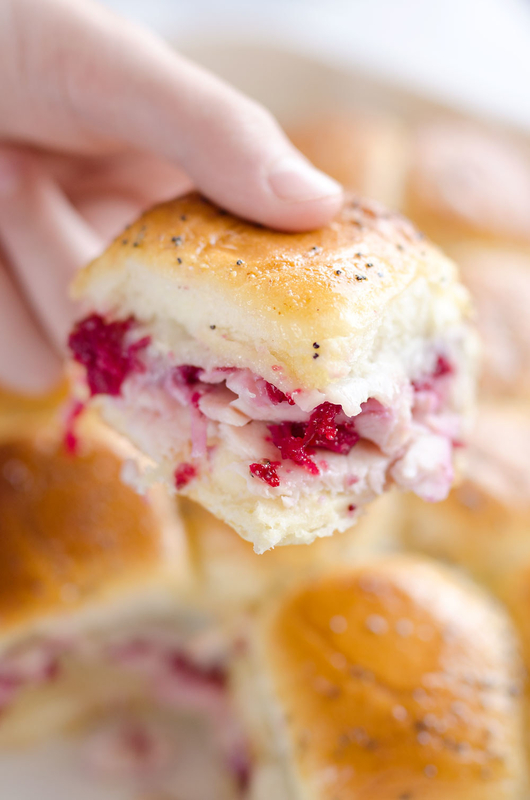 These are only two recipes we tried and loved, but Pinterest is overflowing with bite-sized apps perfect for Friendsgiving. Think: Sweet potato skins, Brussels sprouts fritters, cranberry Brie bites, and more, so there's plenty to choose from. 5. 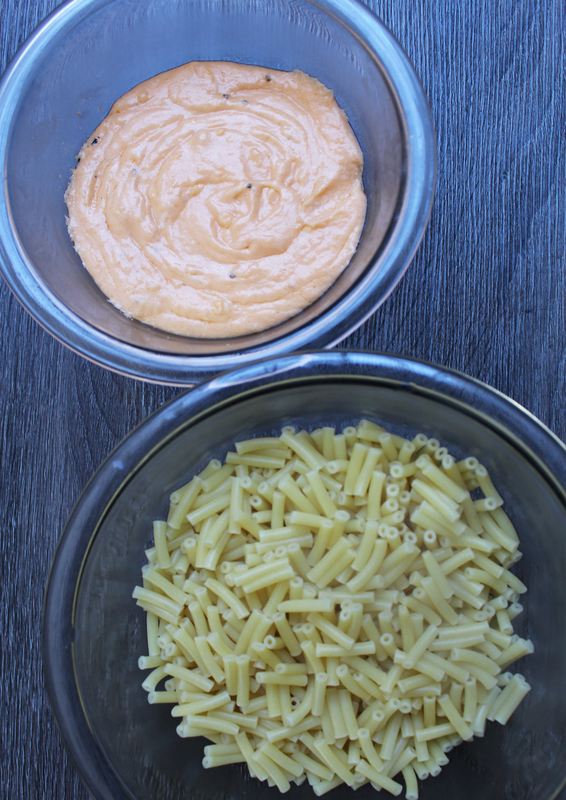 Use your microwave instead of your oven or stove. 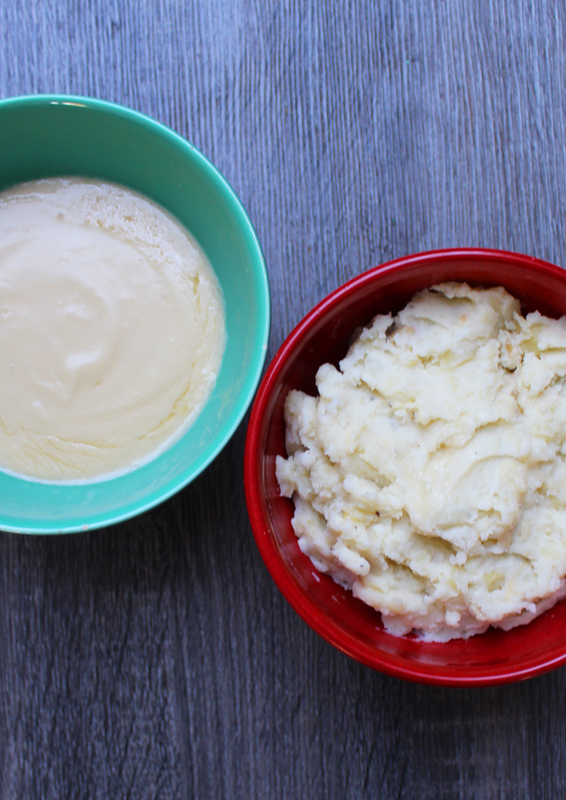 Microwave recipes are useful whether you're celebrating Friendsgiving in a college dorm room or you just want to save some oven space for the rest of your meal. 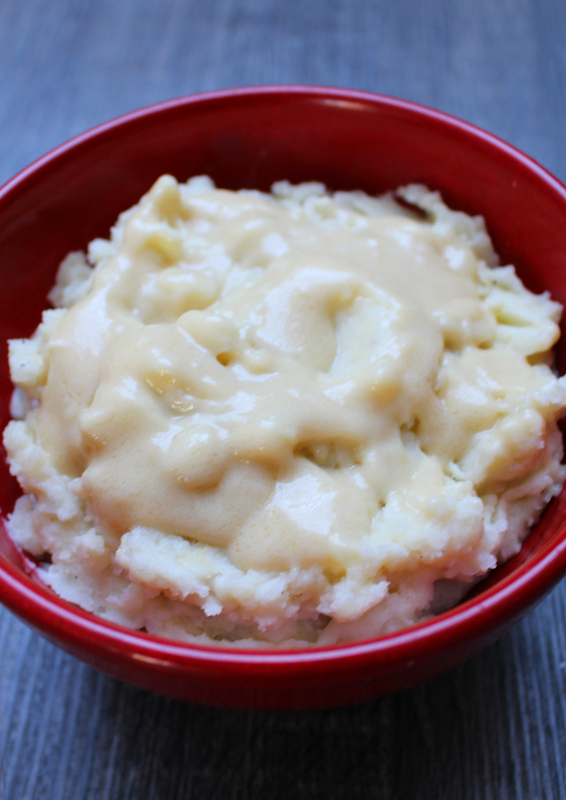 These microwave mashed potatoes and gravy were actually really simple, and they tasted surprisingly good for being made in a microwave. 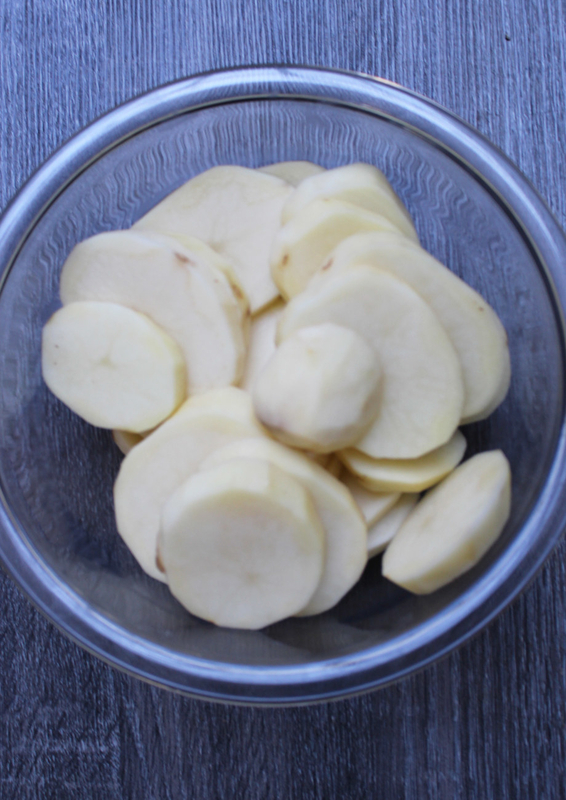 Just peel and slice russet potatoes into 3/4 inch strips. Then, cover them with plastic wrap and microwave them for about 20 minutes. 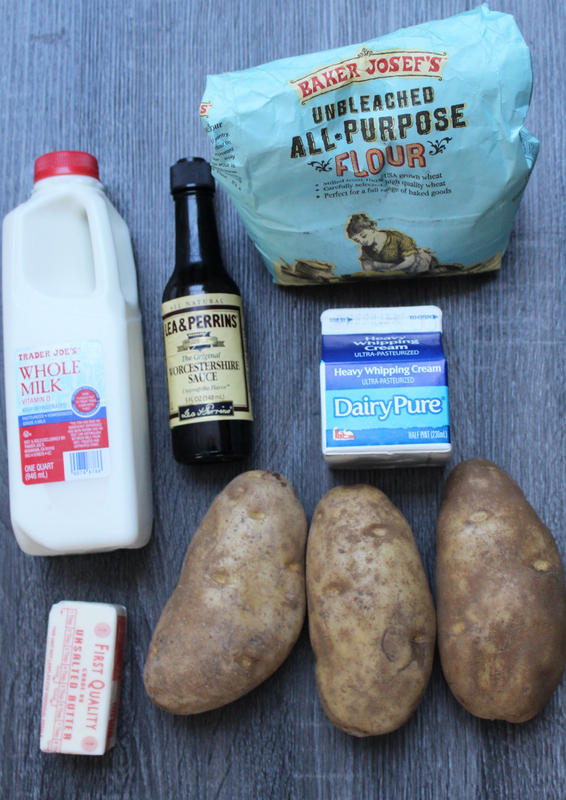 Then, mash them with butter, milk, salt, and pepper. 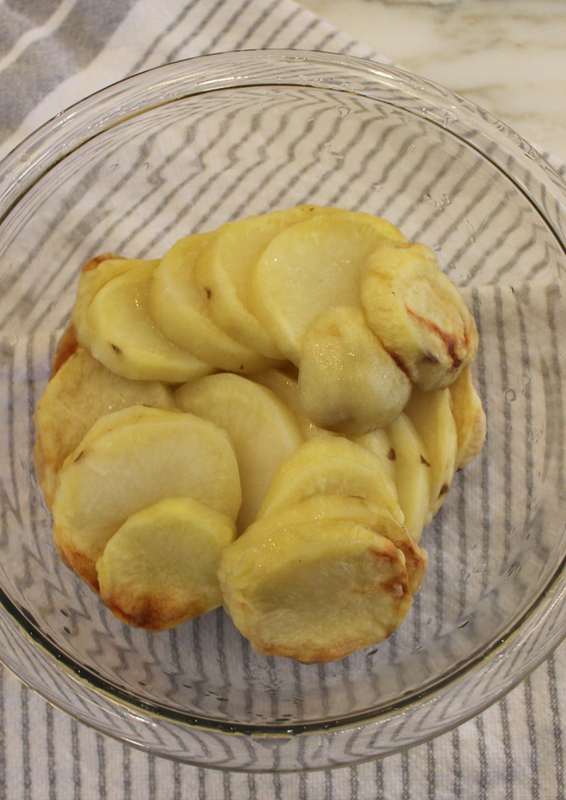 You'll want to start checking on the potatoes when you get to about 15 minutes. Some of mine got a bit burnt around the edges. 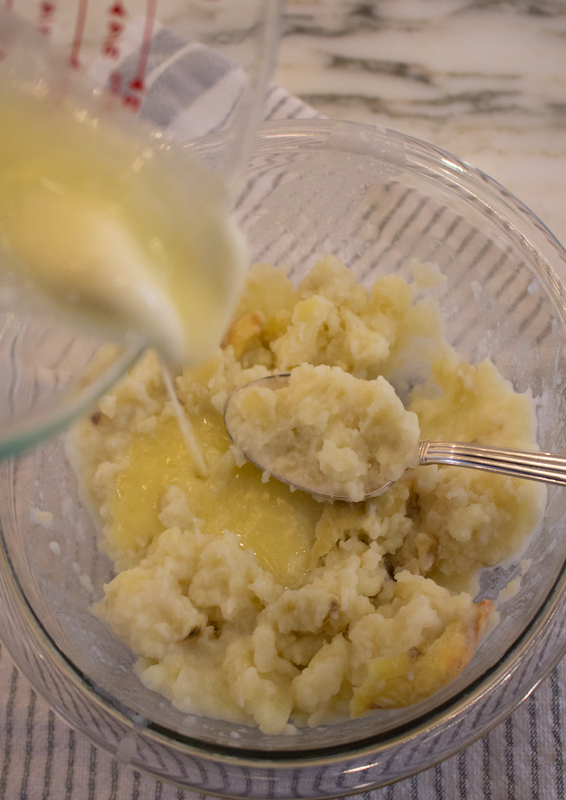 For the gravy, you combine flour and butter in the microwave. Then, you whisk in heavy cream, chicken broth, and Worcestershire sauce and keep microwaving until the sauce thickens. 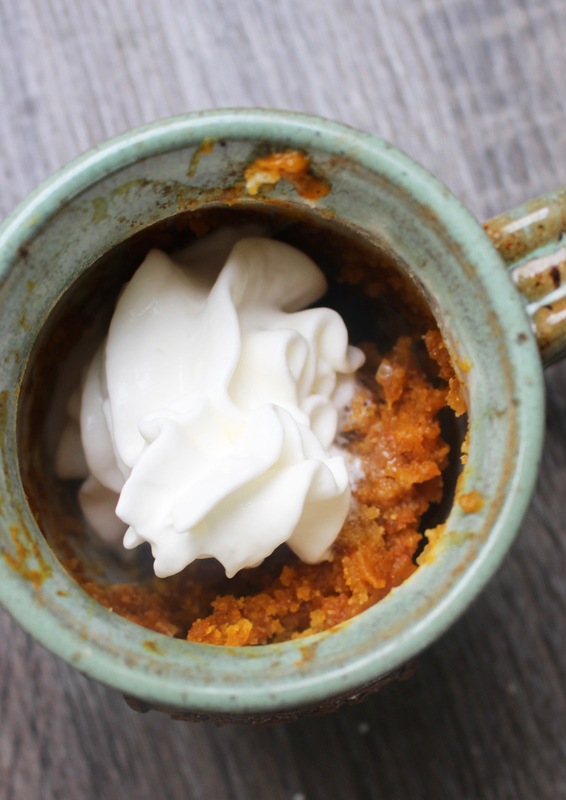 And these foolproof microwave pumpkin mug cakes completely take the stress out of baking. 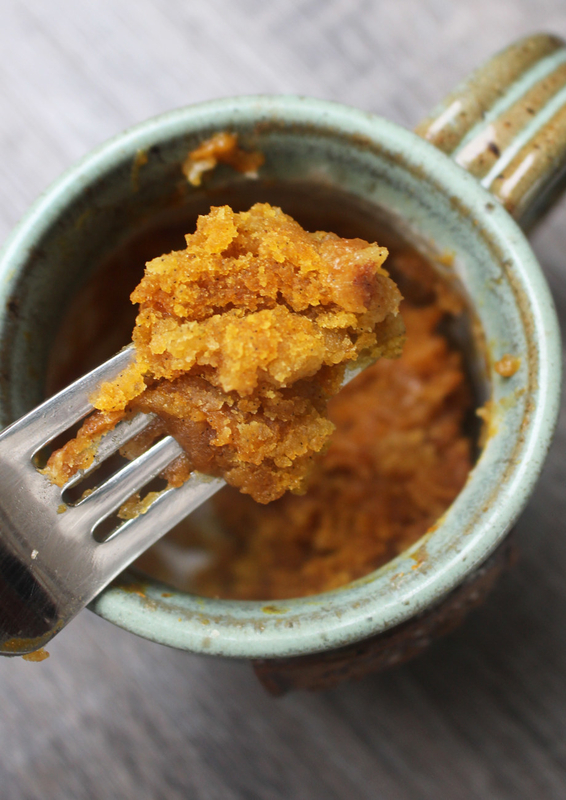 You just combine three ingredients — white cake mix, pumpkin purée, and pumpkin spice seasoning — in a mug and pop it in the microwave for two minutes. You can make a bunch of these in separate mugs or ramekins. Voilà: Cake without the help of an oven. Get the recipe. 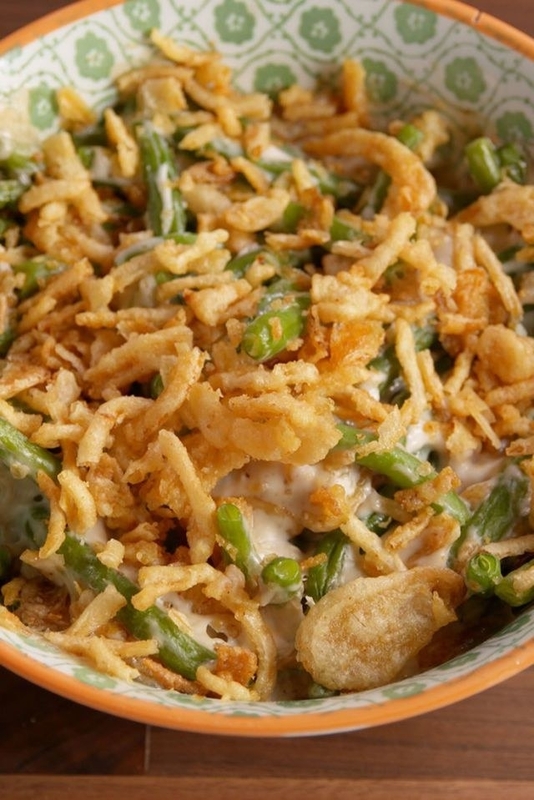 There are a bunch more Thanksgiving dishes you can make without a stove or oven like this microwave green bean casserole, microwave mac 'n' cheese, and microwave baked apples. 6. Instead of roasting a whole bird, make a low-maintenance turkey dish that still feels festive. 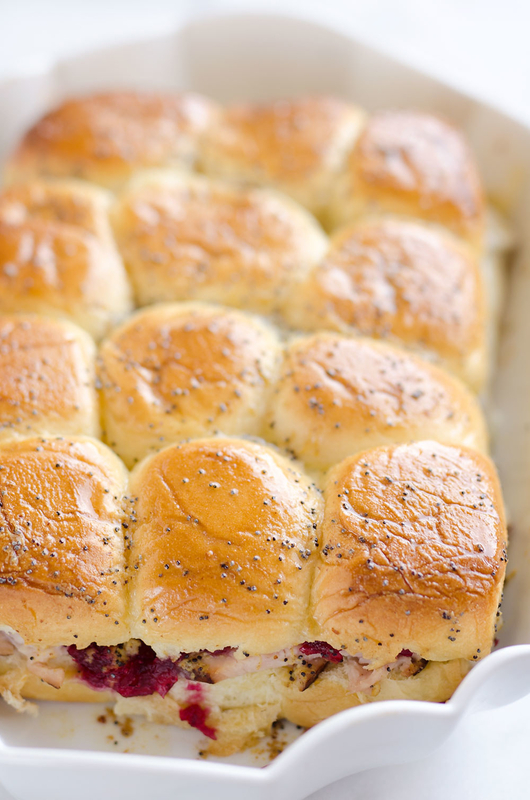 For instance, turkey and cranberry baked sliders are an easy way to feed a big crowd. These sliders and filling and affordable. 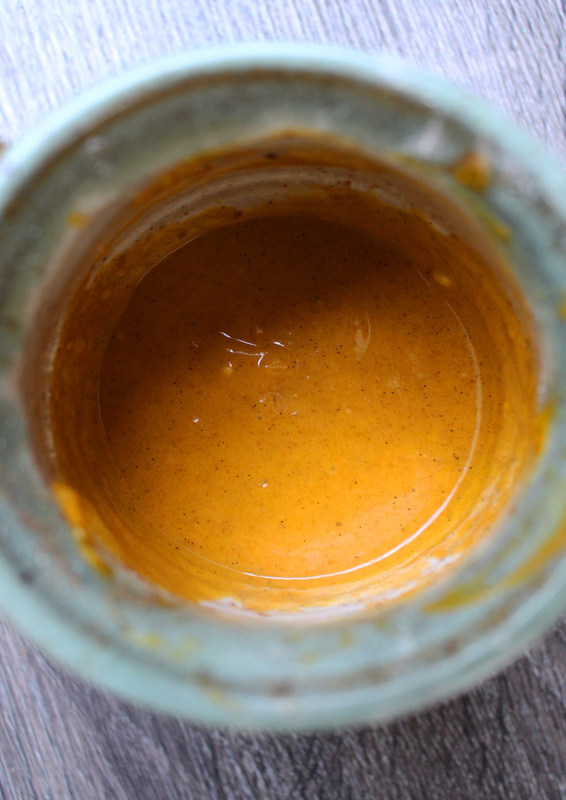 There are absolutely no fancy ingredients required, and you can make a big batch at once. Recipe here. 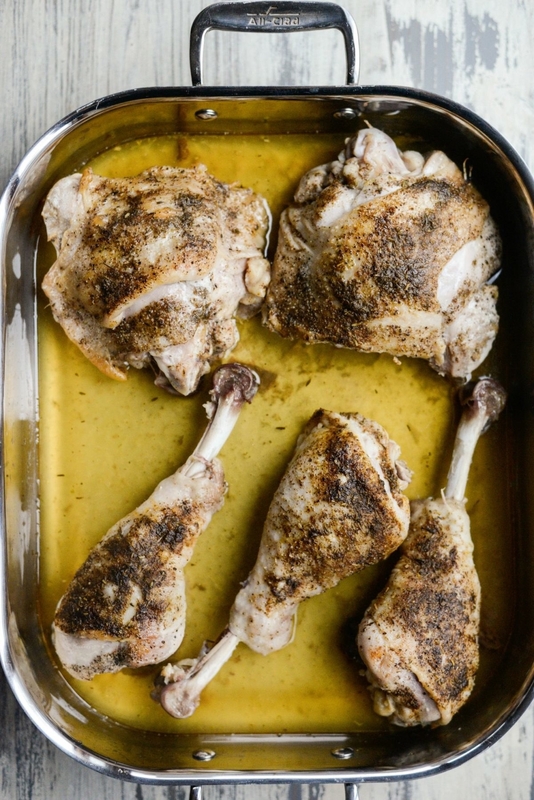 Or for something more traditional, you can't mess up these roasted turkey thigh and drumsticks. 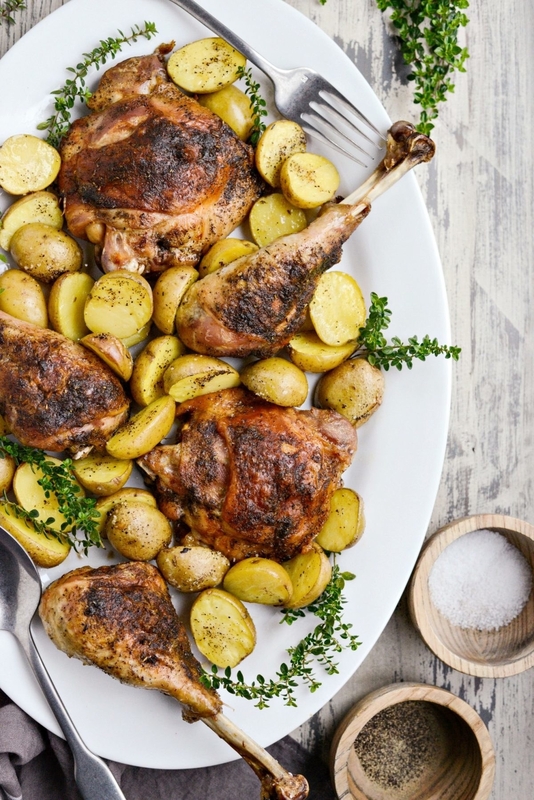 This main course is a whole lot cheaper and easier than roasting (and carving) the whole bird. Recipe here. 7. Make several desserts in one with these holiday sheet pan cheesecake bars. The first two steps are preparing the graham cracker crust and the cheesecake filling. I'd recommend starting with graham cracker crumbs, which you can find at pretty much any grocery store, so that the crust packs together. While the crust bakes, divide the cheesecake filling into separate bowls, and mix in your favorite desserts. I used cinnamon baked apples, pumpkin purée and pumpkin spice, and chocolate hazelnut spread, but you can get as creative as you want. 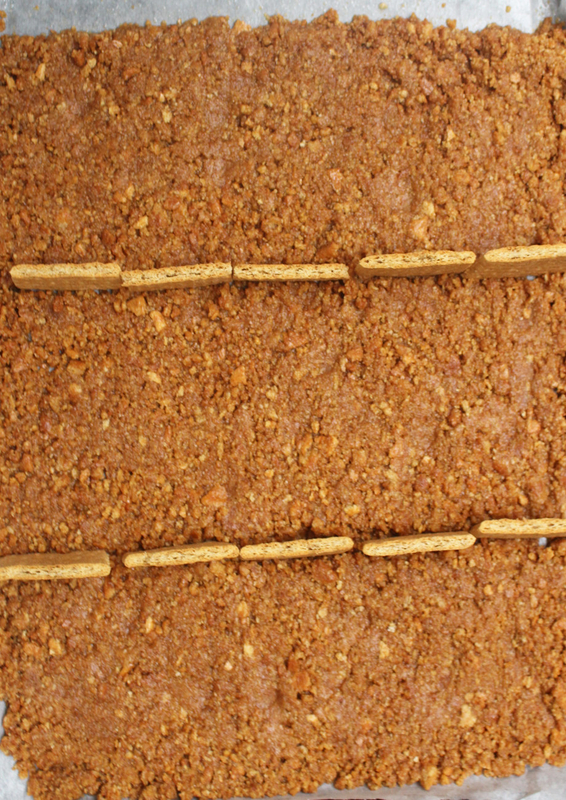 Draw three lines in the graham cracker crust to separate the three different cheesecake fillings. Then bake the cheesecake in the oven for about an hour until the filling is set. 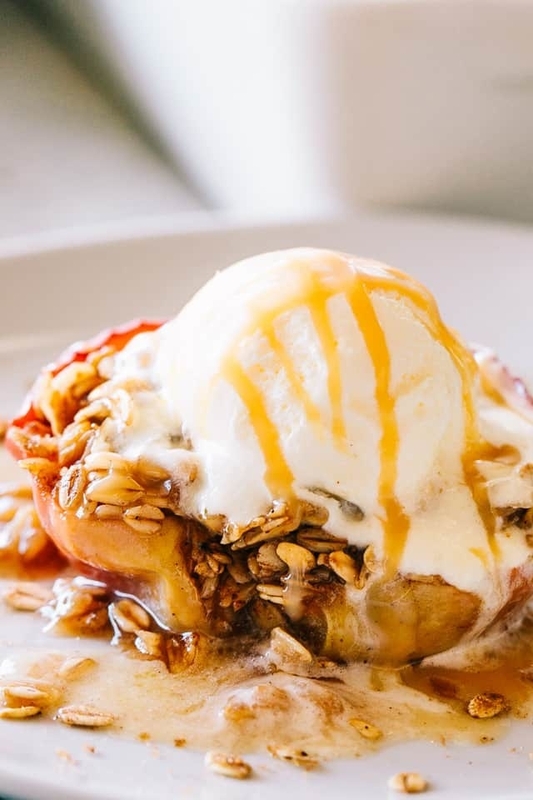 Pull it out of the oven and you've got three desserts in one. 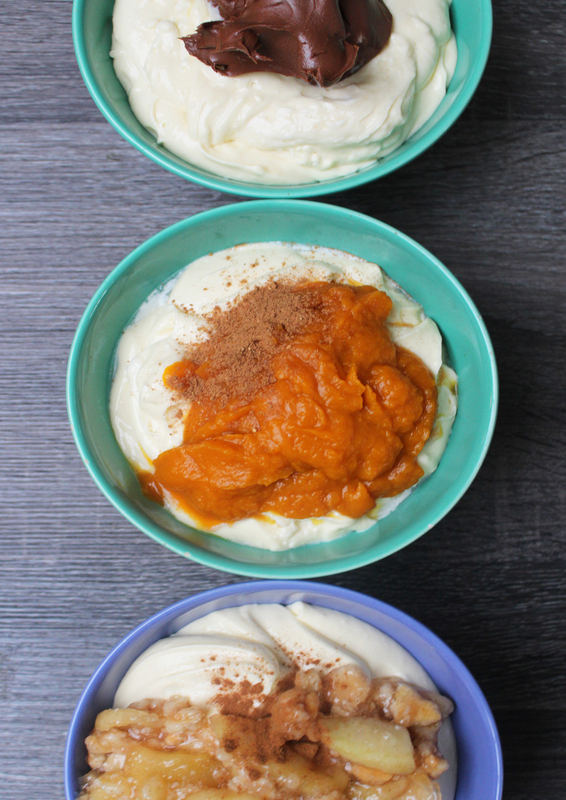 Cut it into little squares of pumpkin pie, apple pie, and chocolate cheesecake. And since cheesecake tastes best when it's been chilled, it's an easy dessert to make a day or two before your Friendsgiving. Recipe here. 8. 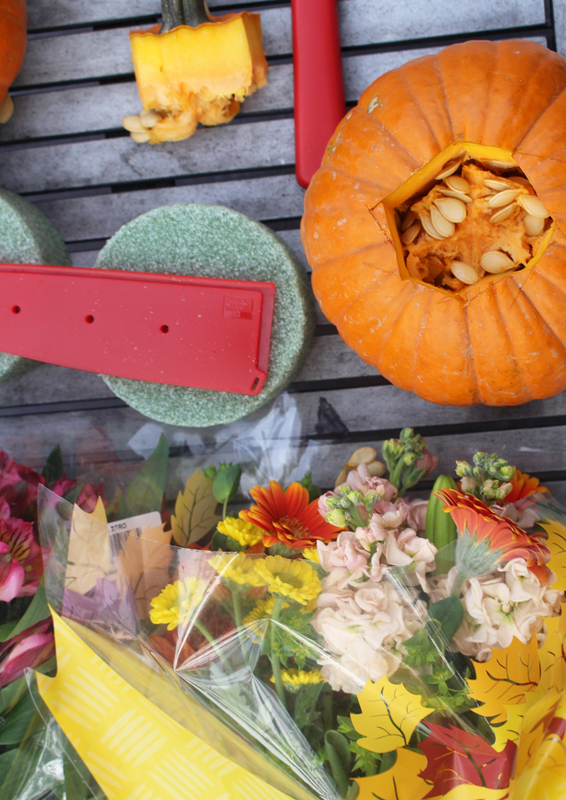 Turn pumpkins into adorable and seasonal flower vases. I found a tutorial on blog Garden Therapy and followed the instructions. You don't need a green thumb or any arts and crafts skills to make these, take it from me. 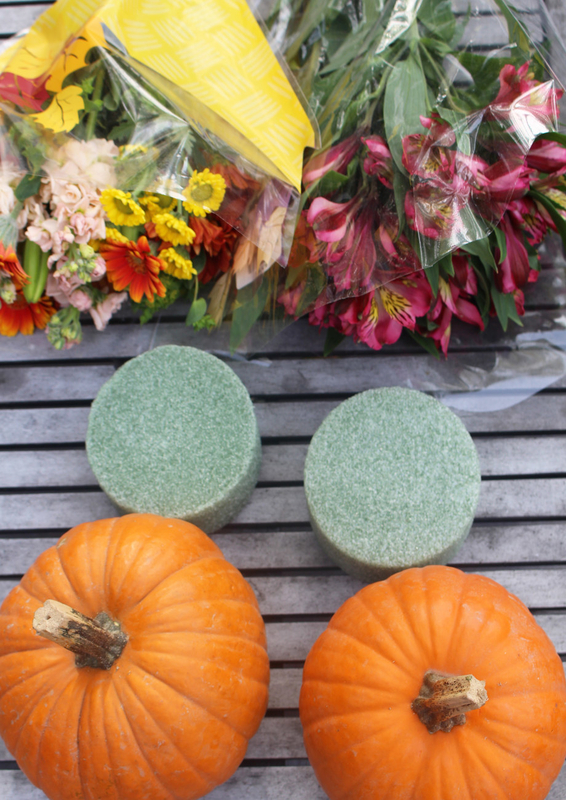 Just carve a hole in the top of the pumpkin, fill it with some soaked floral foam (which you can find at any craft store), then add your favorite flowers. Place a few of these pumpkin vases on your holiday table instead of traditional flower arrangements. They're an inexpensive way to add a pop of color and a seasonal feel to your home. 9. Or try making a colorful tie-dye pumpkin with just four supplies. I'd seen these bright and cheery pumpkins on Pinterest and Instagram, but I never realized how easy they are to make. You'll want to use a white pumpkin (real or fake) so that the colors show up well. Then you'll just need crayons, glue, and a hairdresser. 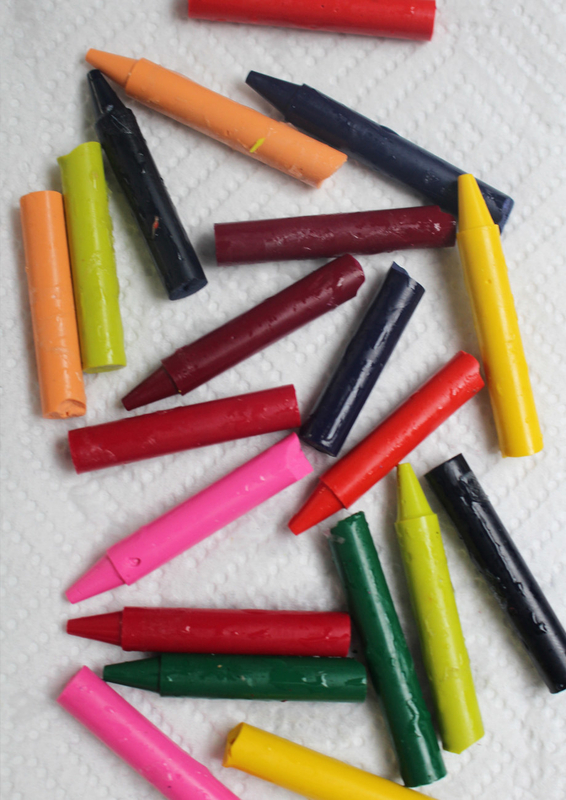 Soak the crayons in a bowl of water for about 5 minutes so that the paper peels right off. 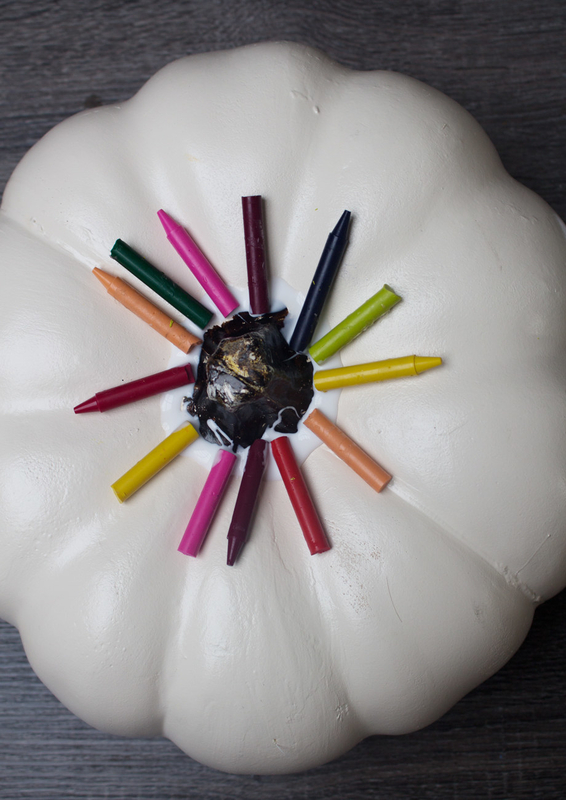 Then, break the crayons in half and fasten them around the stem of the pumpkin with tacky glue. Now, it's time to melt the crayons. Take a hair dryer and blow hot air over the crayons. After about a minute, they'll start melting and dripping down the sides of the pumpkin. 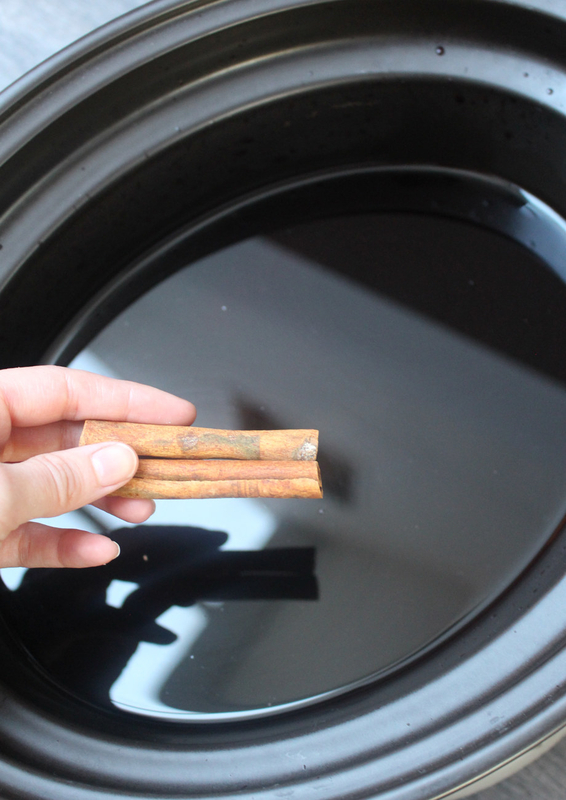 This doesn't make a lot of mess, but you'll want to do the blow drying over a paper towel or a rag. And there you have it, super cute pumpkin centerpieces in no time. 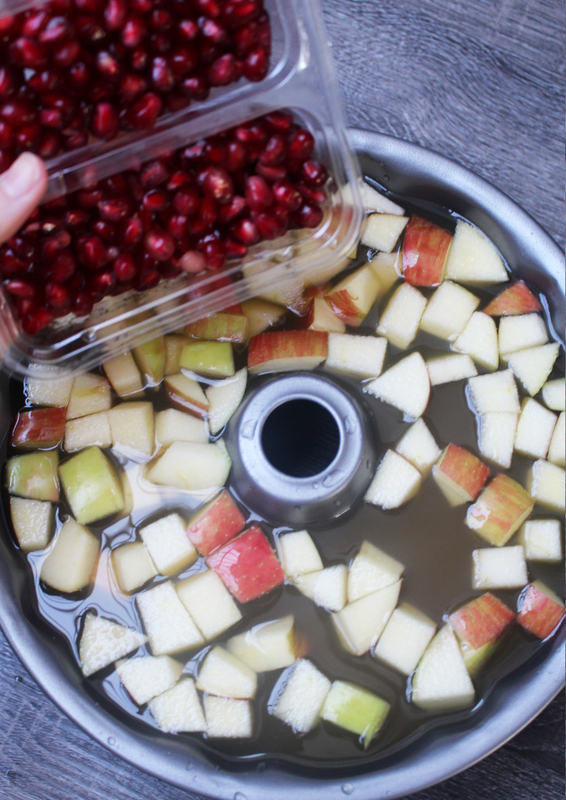 Not to mention if you have kids at your Friendsgiving, this is the perfect DIY project to keep them entertained. Happy holidays, and have the best, most stress-free Friendsgiving ever! 10. 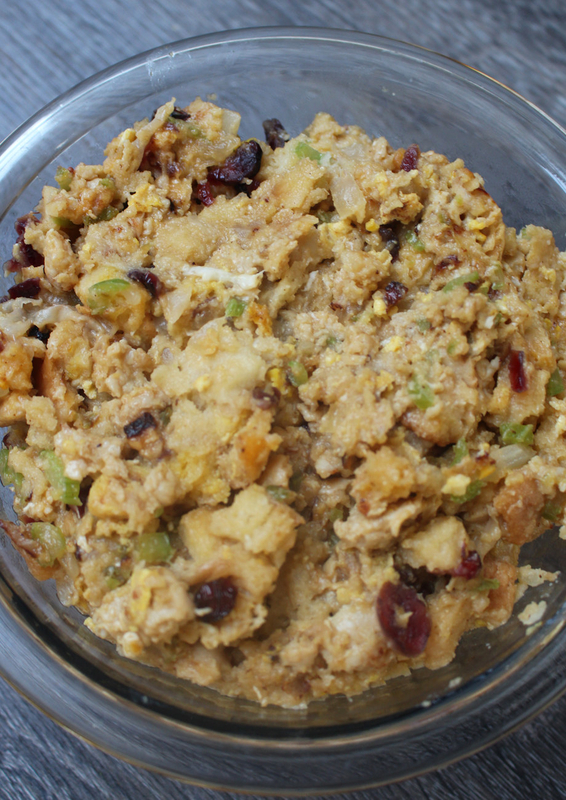 For more Thanksgiving recipes and tips, check out our full Thanksgiving coverage on Tasty.